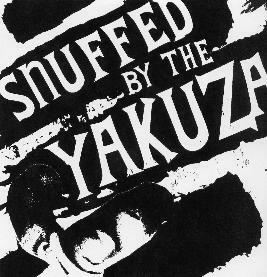 Snuffed by the Yakuza is a full on punk band in the vein of the rawest of the Stooges material and lead by David Berlin, formerly of Mother Superior, a now legendary band from Uppsala, Sweden. He is joined by two brothers on bass and drums and Lee De Parade on guitar. The CD starts with two really short and very raw punkers that last about 3 minutes total! In fact, the whole CD is 8 tracks in about 15 minutes. I wouldn’t say the band are offering anything new to the world but if you want a quick blast of Iggy inspired punk madness delivered in a very raw sound, this will rock your world!